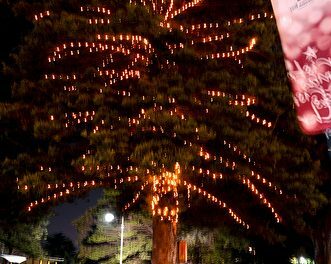 To the uninformed, a strange phenomenon is occurring in one particular residential district of Altona Meadows at this time of the year. A succession of cars is heading towards the same direction, in fact the same street – Markham Way. These people are neither local residents nor their guests. 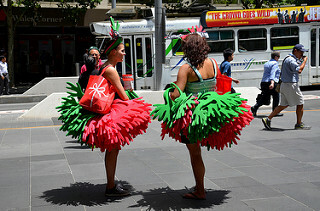 They are “tourists” from other parts of Melbourne, commuting here for a sole purpose, that is, to witness an extraordinary sight. 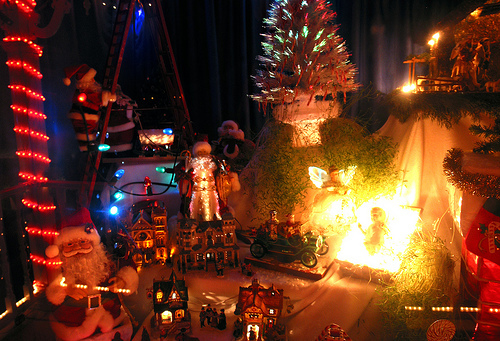 Every December, Markham Way is turned into a Christmas fairytale wonderland. This started about 7 years ago, when House No. 4 started decorating its house for Christmas. 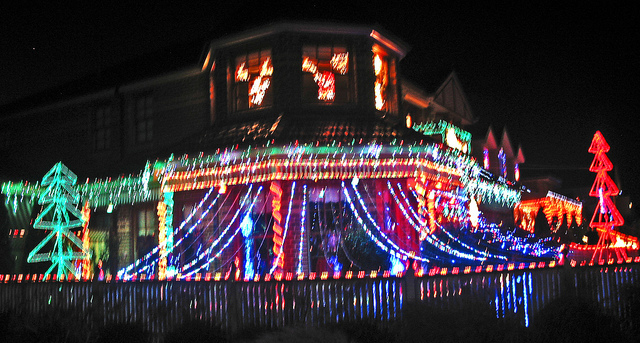 One by one, the neighbours followed suit and by now, about 10 houses have participated in this annual ritual. This street has gained a reputation among the locals and the fame has now spread further due to a report on the Herald Sun. The most spectacular display is at the house of Percy Smith. 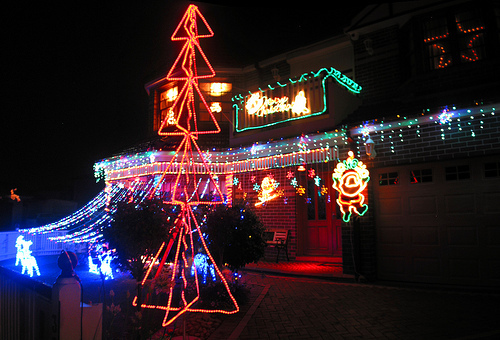 Together with his wife and daughter, he started decorating on 1 November and switched on the lights on 1 December. 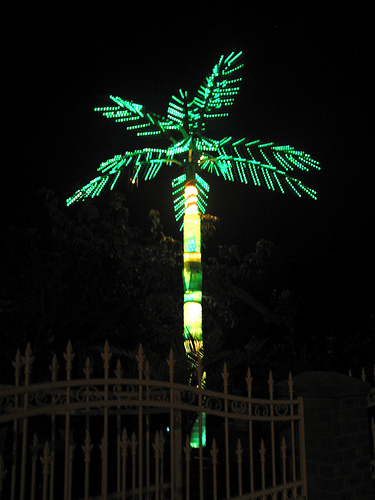 The lights will be on display until 3 January 2011. The lights are on every night from 8.30 to 11.30 p.m., depending on the weather conditions and the response. 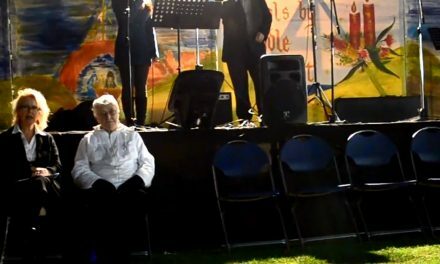 He is a very friendly host, always outside his house, mingling and chatting with the crowd. 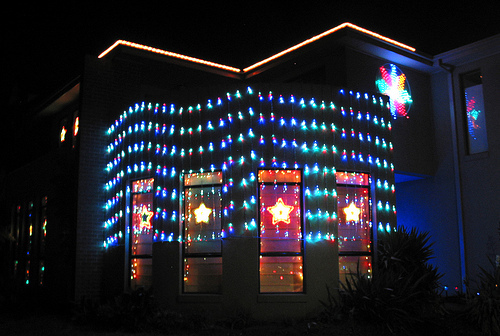 He is prepared to extend the lighting hours if there are more late visitors on any particular night. 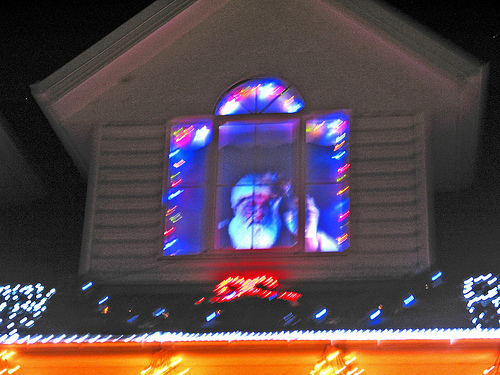 He explained to me that the equipment to project the Santa Claus animation (see video above) onto the top window is the first of its kind to be imported into Australia from the United States. Nowhere else in Australia would you see use of this technology yet. 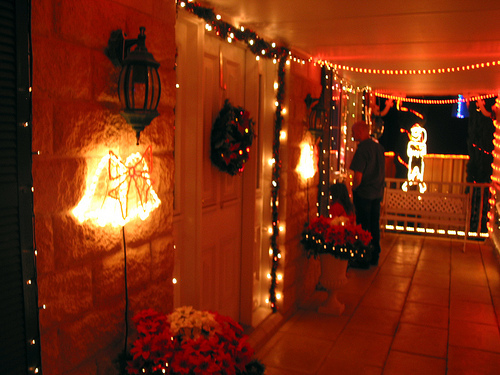 Many visitors would walk right up to his verandah to view the lavishly-decorated window displays. 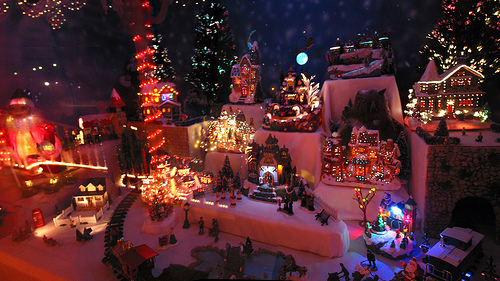 The window displays include a burning furnace and Santa Claus climbing up and down a ladder, as shown in the video below. 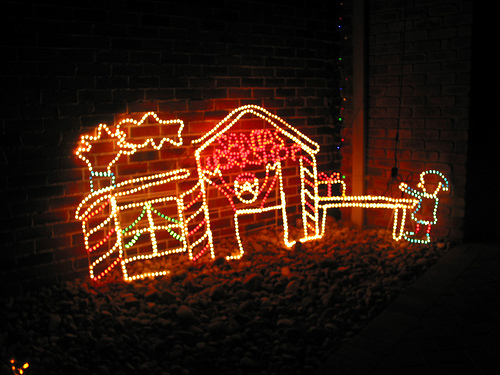 Not only have the Christmas lightings provided an additional recreational sightseeing activity for residents, Percy has also turned into a honorable cause. He had been collecting donations from visitors for the Peter MacCallum Cancer Centre. There is a donation tin. 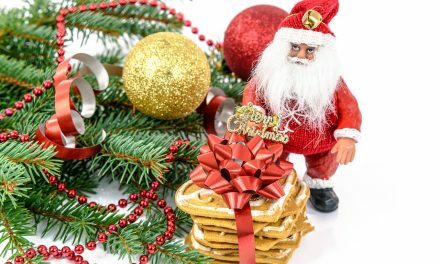 When you drop coins into the tin or clap your hands, this will trigger the playing of a Christmas carol from a small Christmas tree besides it (see video above). Below are photos of Percy Smith, the donation tin as well as the Certificate of Appreciation and letters from the Peter MacCallum Cancer Centre. You can either use the vertical scrollbar, page up/down feature or the Tile icon (with 8 small squares) to view the photos. 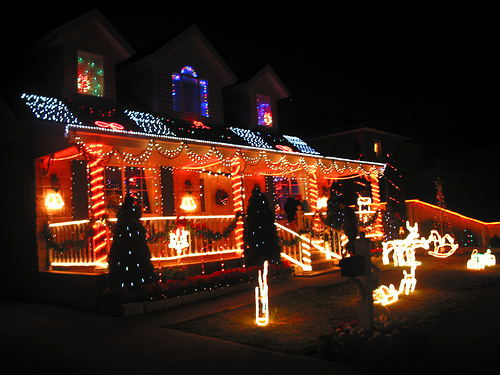 Other houses have also very spectacular displays. 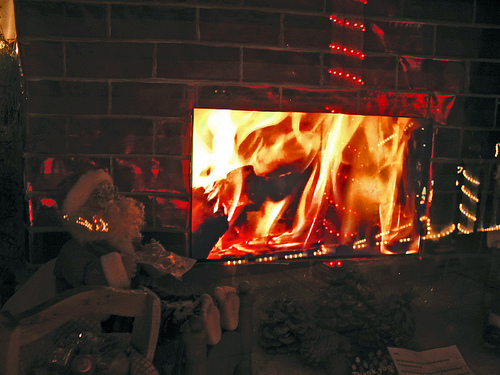 This is worth a visit, otherwise you will have to wait for the next Christmas.